Hello and welcome back for another week of all things 'Chevron'. 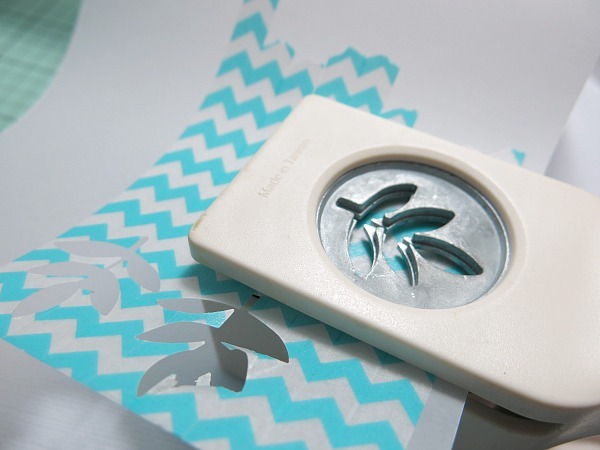 It's Melinda with you today and I have a tutorial that follows on from my washi tape post last Friday which you can see HERE. 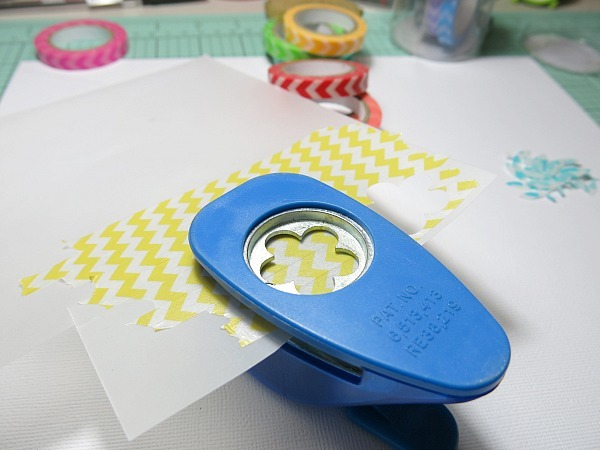 Now Friday's tutorial was all about convincing you that it's okay to actually 'use' your beautiful washi tapes and not just have them sitting pretty on a shelf. So hopefully today we will keep the momentum going and really start working with your washi stash. Now I promise that this layout doesn't use nearly as much tape as Friday so you can relax a little but have just as much fun. So, today I'm going to show you just how quick and easy it is to make flowers and leaves from your tapes to create a sweet floral centrepiece. First step... to grab that tape and start attaching it to a piece of plain vellum and continue your pattern along so you have a couple of inches to work with. 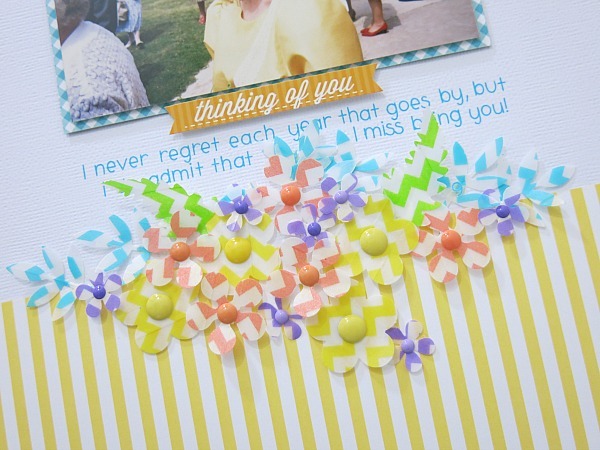 Now using a couple of your favourite punches start cutting out those flowers and leaves. 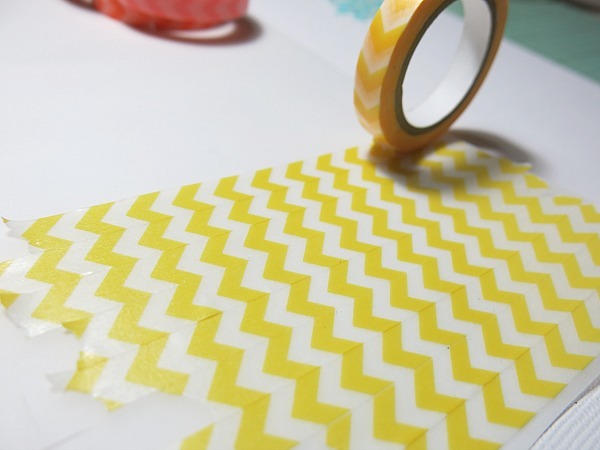 The thicker the vellum the easier it is to punch and will reduce the risk of your tape tearing. 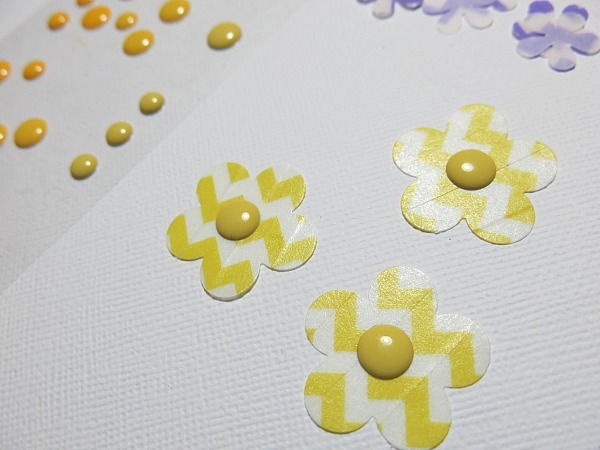 Once you have a nice little pile of pieces you can add some fun centres to your flowers using epoxy dots, pearls or even brads. It's entirely up to you. To attach my pieces to the layout I simple used varying thicknesses of foam tape and a good quality glue (Tombow Multi Liquid Glue) that dries almost instantly. Oh my gosh! 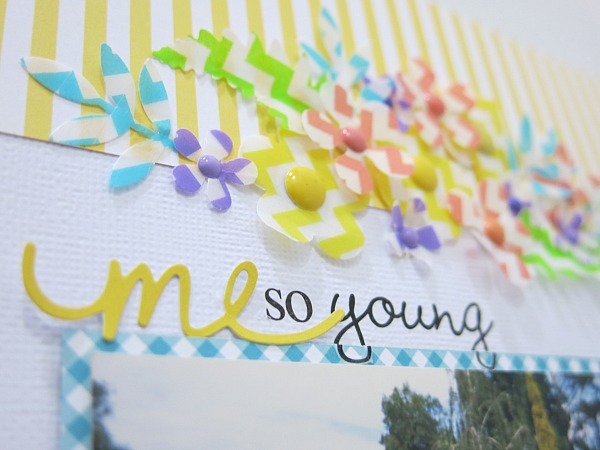 Great tutorial, this blog is an endless source of inspiration, thanks so much! Very cool! thanks for the great little tutorial Melinda! This technique is so neat and different! LOVE it! 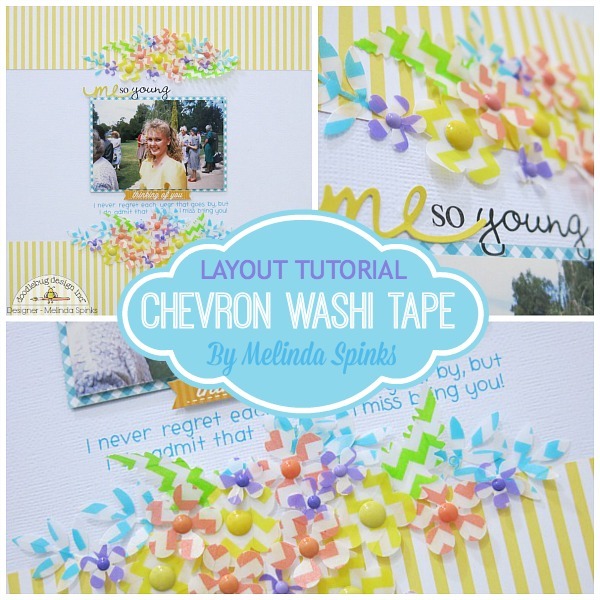 GORGEOUS layout Melinda - LOVE every chevron inch of it!!! Way cool technique and pure awesomeness!! 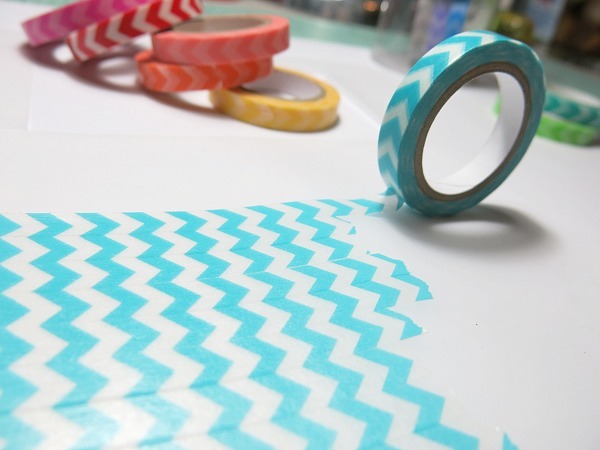 I love washi tape and chevron so this is a win-win! Thanks so much for showing how you accomplished this!! You are awesome!! This is so cool. Thanks for the tutorial.